South East Local Enterprise Partnership (SE LEP) is by some distance the biggest LEP in the country, both in terms of people and place, covering a population of 4.2 million across 32 Local Authorities. It is also the largest economic area outside London, with an annual output of around £87 billion, equating to around 5% of the UK total. With eight ports, two airports, an international rail link, and over 165,000 businesses in the area, it is a vital part of the national economy. Driving growth in an economy of this size and scope is clearly a huge challenge, and the last few years has seen South East LEP very much focused on developing solid strategies and projects that are likely to achieve this. For example, along with a number of transport and infrastructure projects, as well as growth hubs aimed at giving businesses access to the advice and support they need to grow, they have also developed and implemented a five year Skills Strategy, which is seen as fundamental to meeting the growing demand for certain skills, helping people find work, and tackling the skills shortages that stifle growth in the region. The Skills Strategy sets out a number of short, medium and long-term ambitions that are intended to meet the LEP’s overall Vision for Skills, which is to deliver “a flourishing and inclusive economy … equipping employers, adults and young people with the skills, conditions and aptitudes required for significant growth today and tomorrow.” To accomplish this, particularly in such a large and very diverse economy, the LEP understood that it was crucial to base their strategy on a strong evidence-led foundation, rather than relying on anecdotal evidence and assumptions. In order to achieve this, they invested in Emsi’s online data tool, Analyst. Analyst is an easy-to-use platform that layers a number of Government sources together to provide instant access to key intelligence on jobs, skills and industries at the National, Government Office Region, County and Local Authority levels. The tool was brought into the organisation after the Skills Lead, Louise Aitken, saw it in action and immediately recognised its potential to help develop an evidence-based approach to the Skills Strategy, particularly given its ability to quickly identify key skills trends and future projections at both the LEP level and at the level of the 32 Local Authorities. How is Analyst being used in the Skills Strategy? Analyst data was used throughout the Skills Strategy, with insight being brought to bear on general issues like the number of jobs in the area; average earnings, and the number of job vacancies being advertised by employers over the past year. More specifically, it was also used to shed light on priority sectors within the LEP area — including Health & Care; IT, Digital & Creative; and Transport & Logistics — with the identification of a number of key metrics associated with skills demand for these industries and the key occupations they employ. Sector Overview Reports – A series of reports focused on different industries in the region, featuring a general overview of the industry, regional employment trends, the occupations they employ, and a breakdown of the age and gender of the sector’s workforce. District Economy Overview Reports – A series of reports looking at all 32 Local Authority areas, giving details of its population, industry and occupation mix, average wages, regional imports and exports, and the area’s growing and declining industries and occupations. 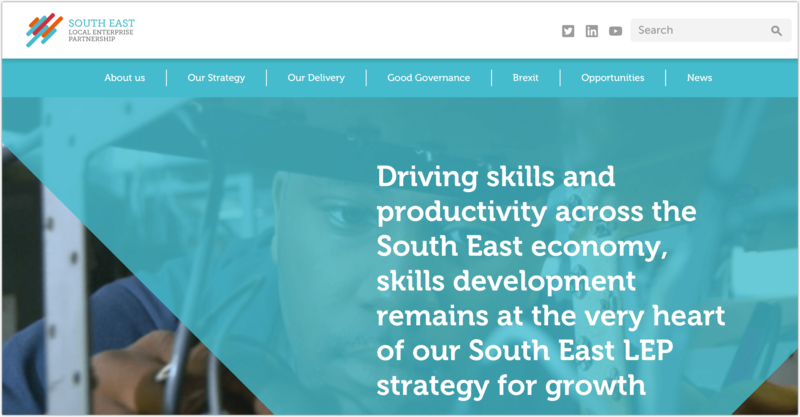 Although they purchased Analyst to help develop their Skills Strategy, SE LEP have been surprised to see how the breadth of data available in the tool means they can do far more than they originally anticipated. For instance, the tool’s Strengthfinder function enables users to identify economic industry clusters in their region in terms of job growth and — crucially — comparative regional advantage. By using this function, the LEP was able to identify the strengths and opportunities in the 32 Local Authorities, and although often confirming what they already suspected, the data also threw out some surprises, such as an even larger than expected focus in engineering and logistics in Medway, compared to other parts of the LEP. The data has also been used to provide evidence in the LEP’s funding bids, notably a successful bid to become one of the Digital Skills Partnership Area regions. In future, there are some big projects where Analyst data is set to make an important contribution. The first of these is the development of the LEP’s Local Industrial Strategy, and here the Strengthfinder industry cluster data can help to inform where investment could be focused, highlighting local strengths and opportunities. The second of these is in establishing a new Skills Advisory Panel, where the Government has set out a mandate for LEPs and Combined Authorities to establish strong employer/education partnerships to identify and develop a supporting robust analytical toolkit within their area. 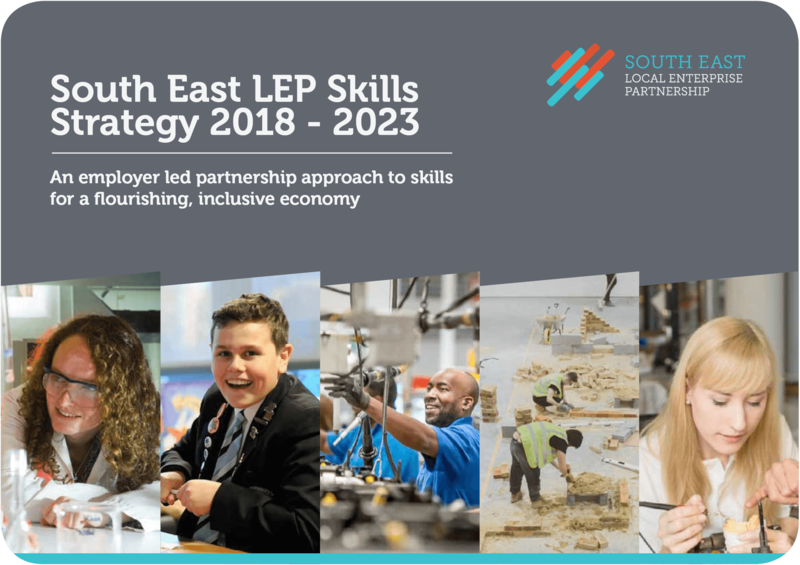 In many ways, SE LEP has already prepared the groundwork for this, having developed their Skills Strategy using robust local evidence, and the data behind that document, along with more insights from Analyst, are likely form a strong basis for the Skills Advisory Panels. You can download a PDF of this case study here. If you would like to know more about how we can help your in your Skills Strategy or Local Industrial Strategy, contact us now.